Hace unos días que vengo leyendo este libro que me hace reflexionar sobre algunos de los proyectos que tengo en marcha. Aunque en esta temática me limito a gestionar contenidos y difundirlos a modo de plataforma o edición. Tambien me trasladan al ambito de la denominada Web 2.0 y la 3.0 o Semantica que yo trasladaria al ambito Creactivista en su valor pedadogico, de impacto social o proactivismo. Aunque en un principio pueda parecer algo teórico esta lleno de actualidad en al ámbito docente el concepto de "facilitador" que algunos intentan sustituir por la figura de autoridad del maestro. En realidad ya deberia tener poco sentido la figura de intermediario (maestro) entre conocimiento y receptor (alumno) cuando es de uso universal en múltiples canales la información. Por tanto el canal de contenidos es claro, la figura de intermediario entre el conocimiento y el alumno comienza a perder fuerza si no fuera por que es necesario la evaluación, certificación y acreditación de esos conocimientos para una función social. Con ello no quiero decir que la figura del maestro deba de evolucionar a la de mentor, tutor o facilitador ya que su papel como evaluador tambien perdera su fuerza en beneficio de otros sistemas mas eficaces. En muchos países esta concepción libre de la formación esta liberalizada en cuanto el papel protector del estado frente a a la función de acreditación de competencias por un examen, unas pruebas o una acreditación de practica profesional. A few days ago I've been reading this book makes me reflect on some of the projects I have underway. 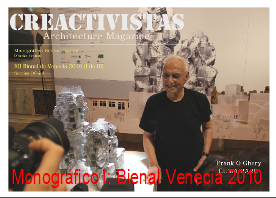 Although this issue I just manage content and disseminate it as a platform or edition. There are no accidents and to come into my hands I have expanded my reading vision on the creation of an editorial (online platform, magazine, books and any format readable), you can see the link on the projects in which I participate. Although initially this may seem somewhat theoretical currently filled in the teaching field the concept of "facilitator" that some try to substitute the teacher's authority figure. Actually you should have little sense of an intermediary figure between knowledge and receiver (student) is universally applicable when multiple channels of information. Therefore, the content channel is clear, the figure of intermediary between knowledge and the student begins to lose force if not for the need assessment, certification and accreditation of such knowledge to a social function. In many countries this concept formation is free of liberalized as the protective role of state versus a function of accreditation of skills in an examination, tests or proof of professional practice. The concepts of innovation and creativity are linked, usually, with the general idea of progress. It means, therefore, positive values and are to be promoted in all areas of human endeavor. Is obvious that both values have allowed a significant increase in the possibilities of welfare for people, not entirely clear that the fate of both concepts is parallel, ie it is not clear that major innovations (especially of a technological) corresponding increase in the creative capacity of human beings. In some of the essays in this book can show examples that cast doubt, reasonable, this identification of the fates of these two concepts. Indeed, while enhancing the creativity ensures almost always the appearance of more or less relevant innovations, the consequences of innovation, as mentioned above, not always passed in the field of creativity so evident. 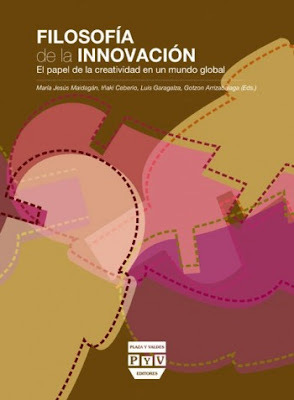 In this book we present a series of articles that reflect and question the concepts of innovation and creativity from a philosophical perspective in the context of globalization. This philosophical reflection is structured in two main areas which are grouped by chapters: Epistemology of Anthropology innovation and creativity. The first focuses on the notion of innovation with special attention to theoretical and epistemological processes involved. The idea of innovation necessarily imply a change aimed at improving, a change that generates a profit of any kind. That change begins with the emergence of an idea, a point of view or a way of looking at things is to act, if recognized as such, like a hypothesis to be contrasted in its implementation. 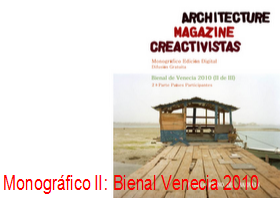 In the second part deals with the notion of creativity and develop anthropological and psychological implications. Creativity refers to processes that are at the basis of the mode of being of man as a cultural animal. Very culture and language that supports it can be studied as a product or result of creative processes that can not be reduced by applying a predetermined fee. Articles in this section address the study of such processes in which they are constituted, among other things, their own fees.